If you work in a creative industry, finding inspiration and cracking writer’s block can turn into a serious time management issue. How many times have you been chugging along at work and upon starting a new blog post, brain storming session, or other creative task, you think to yourself: I really need to go put a new load of laundry in, or my desk is a mess, I really need to organize this before I sit down and start this next project. As a musician myself, a similar matter comes upon us nearly every time we try to write a new song. We suddenly become hungry, forgot to take the trash out, need to change the strings on the guitar and remembered to order a cousin’s wedding present for next weekend all at the very second we sit down to actually be productive. Did I leave the coffee pot on? Writer’s block is one thing. Managing your time to be effective in a creative environment is another. Because after you are done fulfilling all of the small tasks that (probably) could’ve been put on hold a little longer, you will now be shorter on time to actually get the main task you set out to do, done. 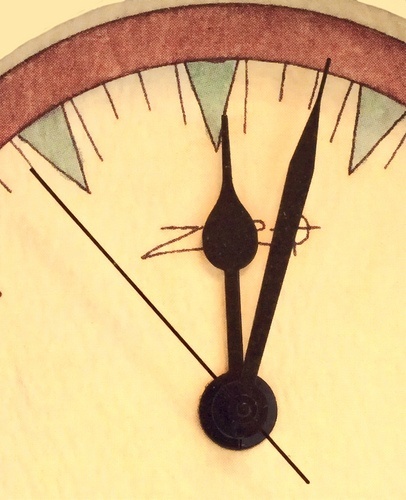 A recent psychological study explored the idea that giving time gives you time. In other words, by spending time with others, you in turn feel as though you have more time available to you. This actually trumps choosing to spend time on yourself or wasting time all together (finishing those mundane tasks you always have to get done before starting a creative project). The study’s authors claim: …spending time on others makes people feel like they have done a lot with their time – and the more they feel they have done with their time, the more time they will feel they have. Whether you actually end up having more time physically or not, what matters is our brain’s perception. So next time you’re looking to free up time and experience writer’s block, instead of doing the dishes or sorting through an old record collection you’ve been meaning to get through – go spend time on others. Your mind, and your work, will thank you later.